This photo was taken on May 9, 2017 at 7:54 AM. The "Take It!" 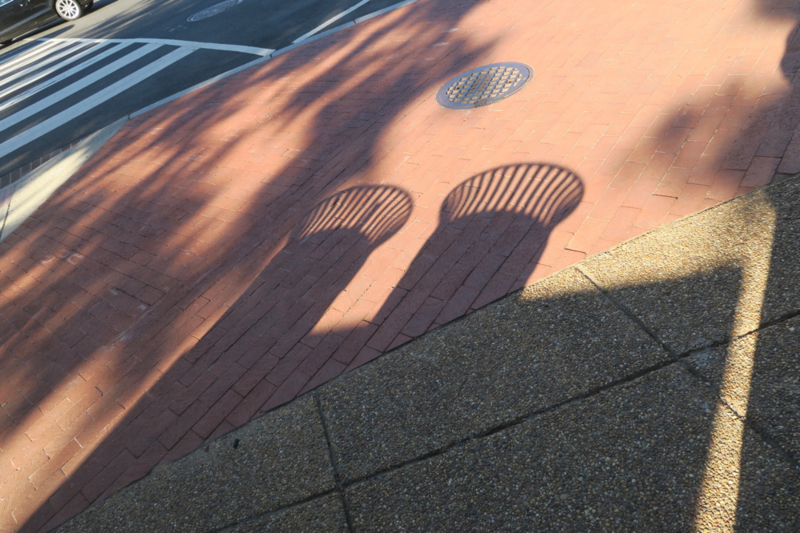 Was an immediate double take at the symmetric placement of the shadows and how well they came together for this, yet another image found in the sidewalk. The After Take: Having shown this one to several of my photo advisors, all enjoyed them and one was able to guess what they were only having seen the first image. This sort of thing is what finds me with a big grin after taking the photos and getting back into the car to be on my way to whatever the next stop will bring. Thanks for sharing in the fun with me. Ha! It really does look like smoke stacks, or a nuclear reactor. You really do have an excellent imagination, almost childlike. And I mean that as a compliment. This one was a fun one, it really is spot on. Wow, that is incredible. I mean I found a picture on google images that looks exactly the same. I had never heard the term smoke stack before reading this, but I can see the resemblance now. 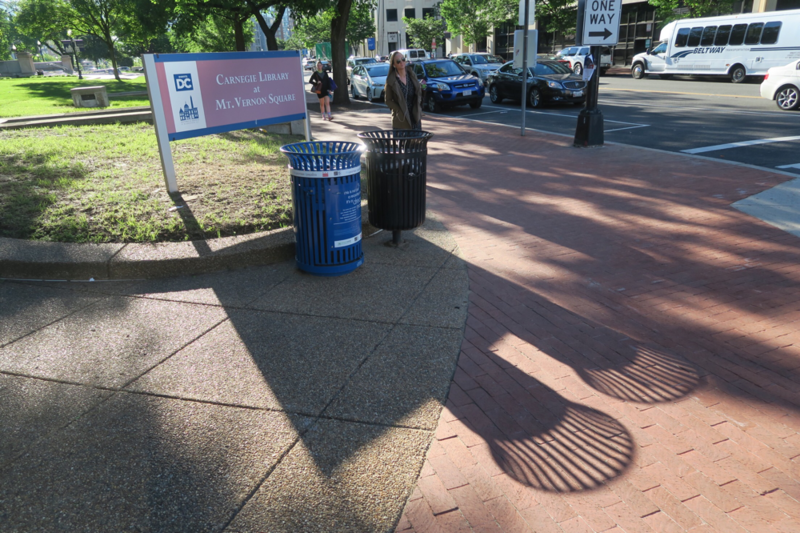 is mt vernon square where george washington lived? Our lunch group had fun with this one. Simple enough but fun!